The Correlation of Mining with Humanity’s Development (A Fact). As long as Mankind evolve, Mining will be required for Agriculture, Technology, Environment, Health, Financial Services, Etc. Without Mining, Mankind can’t evolve. The “Social” and “Environmental” negative effects of mining remain attached to human development. Indigenous Peoples: Sustainable direct economic benefit from mineral wealth. Direct participation in the global capital and commodity markets. Financial Institutions: New asset class for portfolio diversification that generates a financial and moral return. Family Offices: Opportunity to build an Investment Legacy. Endowments: Philanthropic legacy in Peace building, human rights and poverty reduction. 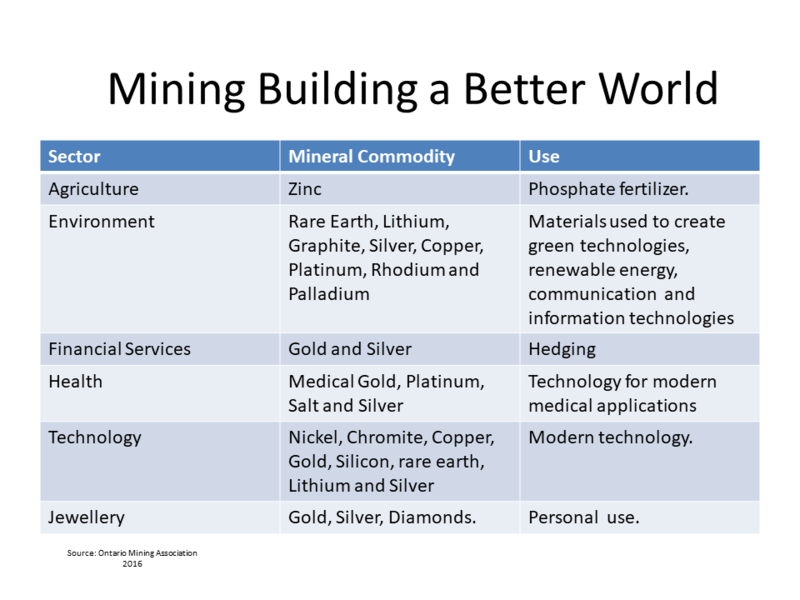 Mineral Extractive Sector: Shared value opportunities. Churches: Asset classes and Business Models in light of the Compendium of Social Doctrine of the catholic church and encyclicals , Ecclesia in America, Evangelii Gaudium and Laudato Si. Interfaith Opportunity. Organisations & Civil Society: Increase of Indigenous Peoples participation in the mineral extractive sector. Indigenous Mining Equity Impact Investing Concept. Indigenous Mining Equity Business Model Concept. Indigenous Mining Equity Legacy Building Concept. Indigenous Mining Equity Educational Training. (Four Modules). Financial and Operational Risk Management Assessment and Mitigation Strategy. (*)CSR Product Concept. (IMEF as a CSR Vehicle). Social and Environmental Impact Analysis Strategy. Structured and Independent legal CSR Vehicle: (Foundation/association) ->Transparent, easy to audit, legal and impact compliant, lower operations risk management. Pooling Cluster: For Small and Middle Enterprises. Operational efficiency in CSR and lower operational risk exposure. Social Innovation: Bottom of the pyramid social and environmental impact. Collaborative Multi Stake Holder: Academia, Corporates, Civil Society, Government, International Organisations. Non- Geographical BIAS approach: Within and Beyond enterprise's geographical operations. Versatility in CSR Impact: Regional and/or Global. (Ideal for big market makers). Multi Sector: Health(Pharma-Medicine), Agriculture, technology, environment, Financial Services, etc.